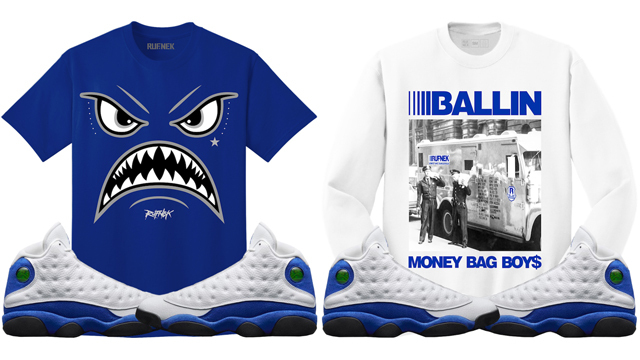 Original RUFNEK has rolled out a new collection of clothing to match the Air Jordan 13 “Hyper Royal” shoes, including these white and royal blue sneaker tees and sweatshirts to hook with the kicks. 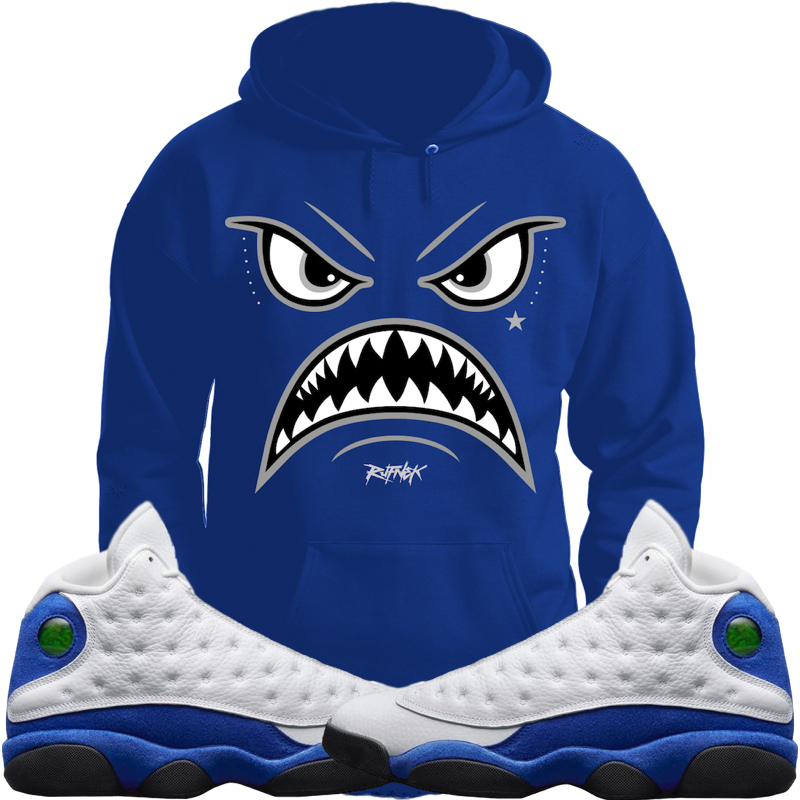 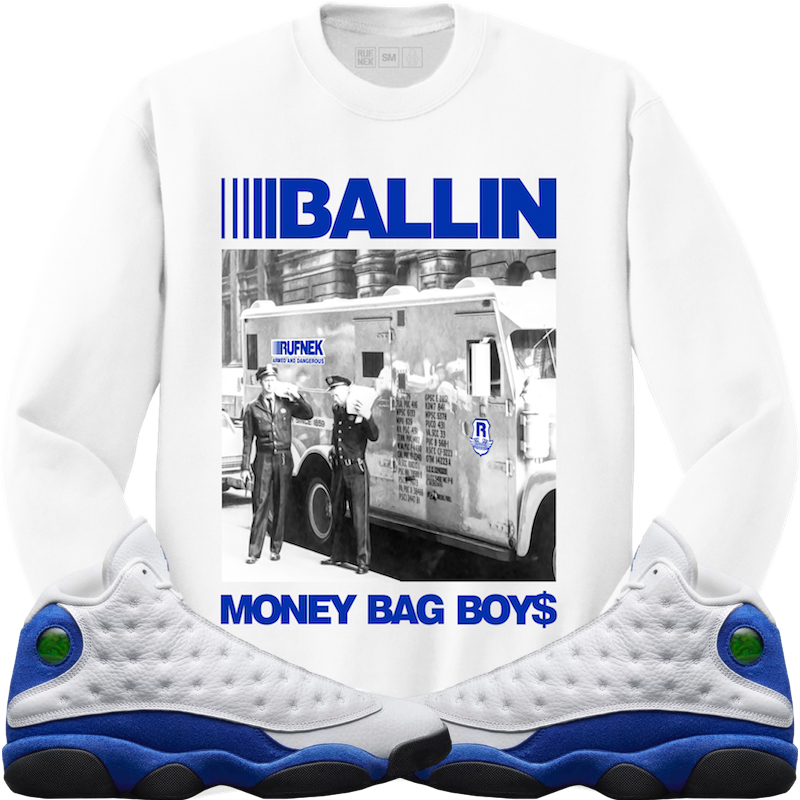 Part of the collection is the popular fighter jet-inspired “WarFace” style in t-shirt and hoodie form, done up in a royal blue shade to match the tint on the kicks, as well as the “Ballin” style that’s available as a tee or crewneck sweatshirt in white with royal accents for a lighter look to hook. 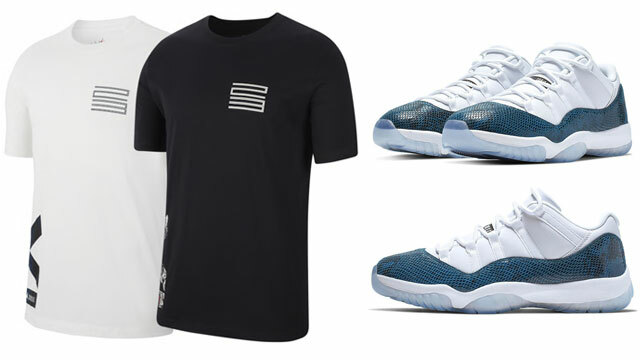 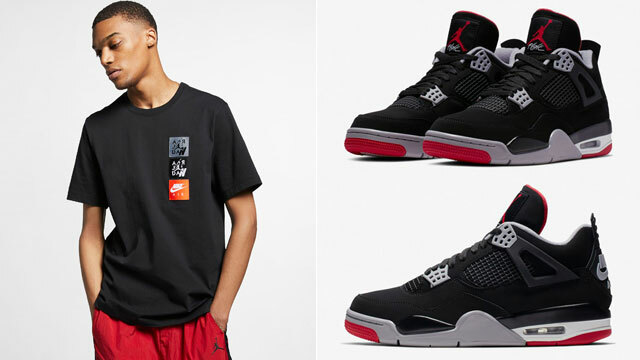 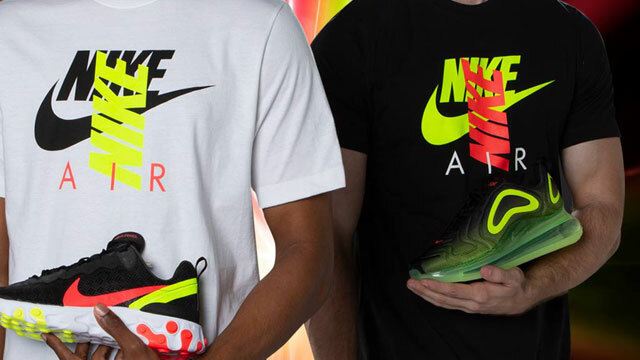 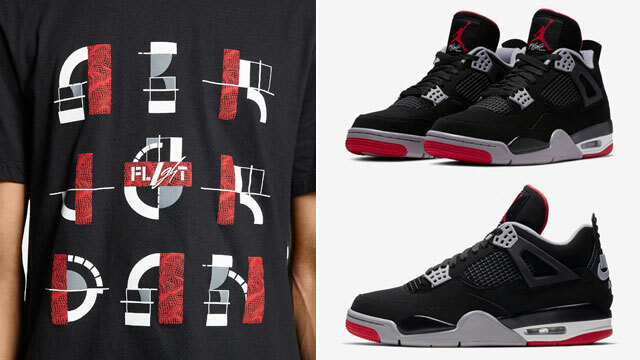 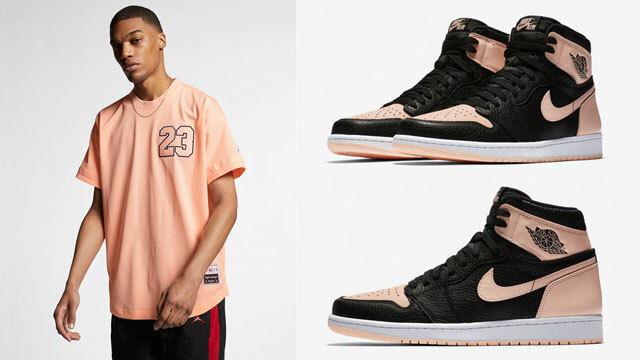 Copped the kicks and need some gear to match? 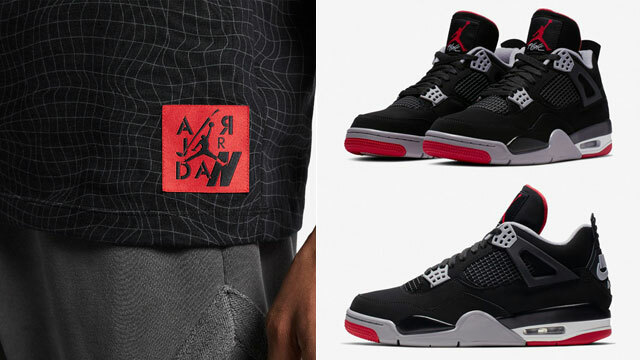 Take a closer look at some of the tops to match the Js from Original RUFNEK below. 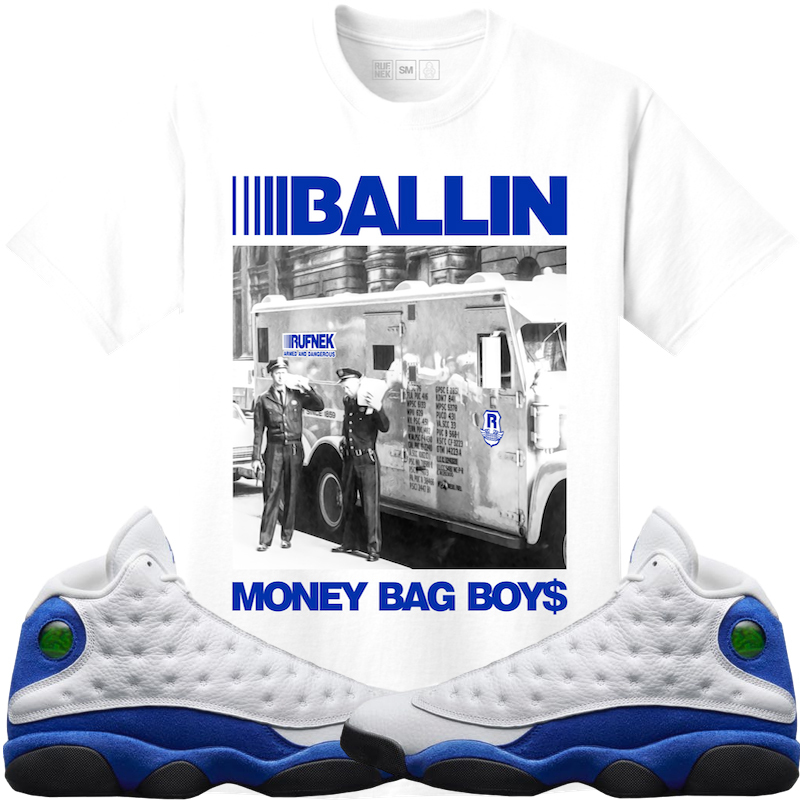 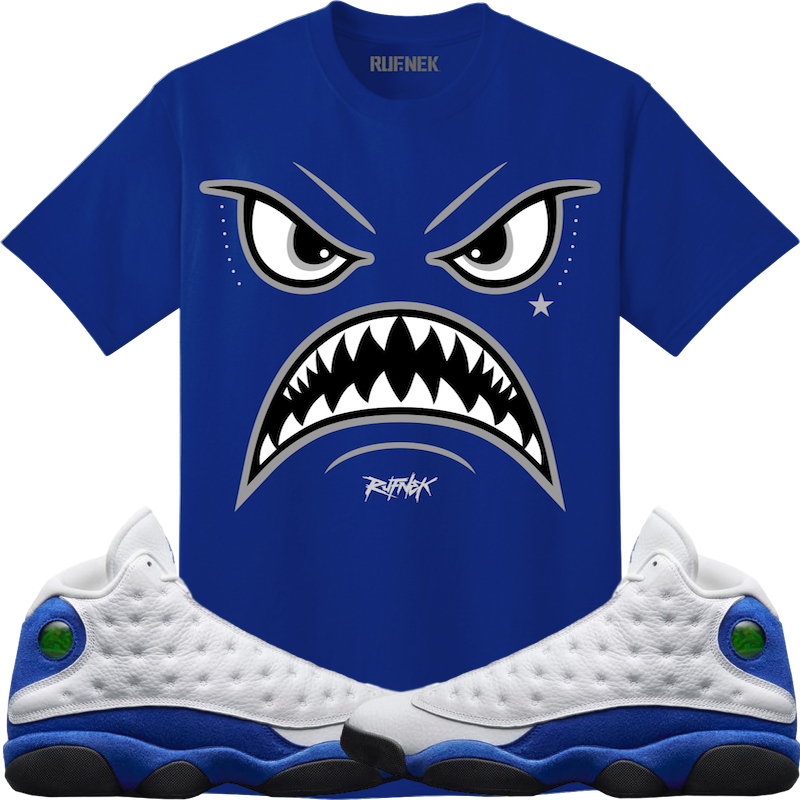 Click here to shop sneaker tees and other gear to match the Air Jordan 13 “Hyper Royal”.